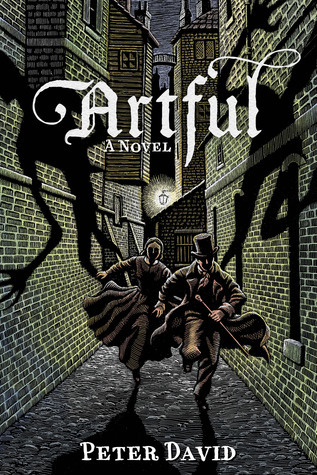 Artful by Peter David is a novel which expands on the world of Charles Dickens’ Oliver Twist by taking a look at the continued life of Jack Dawkins, better known as the Artful Dodger. While it has its high points, the story falters a bit in its execution, but it was still an entertaining read. Here, the Artful Dodger is the star of the show. The narrative begins by explaining how our young cat purse managed to escape his expulsion to Australia and reestablish himself on the streets of London, albeit in different circumstances than during his Oliver Twist days. While still following his thieving ways, Artful has grown and matured, becoming a young man who maintains a sense of dignity and morality, even while attempting to do anything to survive another day. He is especially kind to the young ladies of the night, who sell their company of the street corners, and this is where Artful meets a mysterious, young woman, in whose behalf he intervenes to put a stop to a very demanding “customer.” After this gallant “rescue,” he bares his soul to the guarded, young woman and gives her the nickname Drina. Thereafter, the two become fast friends and stumble into the middle of a grand conspiracy involving – vampires! For Oliver Twist fans, the highlights of this novel might well be the first few chapters, where Peter David attempts to mimic the descriptive, exposition, Victorian style of Dickens and succeeds in great measure. Not only that, but he even does a wonderful job of capturing the flavor and core of the Artful Dodger himself, making this story seems like a true sequel to its famous predecessor. Naturally, however, this is a two-edged sword, because those readers who are not fans of Dickens will likely hate this section of the book, since there are pages of descriptions and meandering narrative were nothing much seems to actually be happening. But, never fear, because after the beginning, the writing shifts into a very modern style, something that will either disappoint or please based upon your perspective. The other group who will, no doubt, adore this novel is aficionados of vampires as true horror figures, not sparkly, paranormal romance stars. For in Artful, the vampires are archetypal bad guys, worried more about sustenance and power than self-denial of their hunger or longing for human love. Something that will keep even those readers weary of vampires (I’m raising my hand for inclusion in this group) from being turned off by the revelation that Artful is actually Artful Dodger: Vampire Hunter. Overall, this was an okay story. Sure, it had excessive amounts of exposition (which – though mimicking Dickens – falls short of Oliver Twist’s brilliance), a few too many historical figures included into the narrative, and major plots not thoroughly disguised, but even with these problems, it was succeeded in being exactly what Peter David intended it to be: an entertaining, vampire story. And if that sounds good to you, you should definitely pick this novel up. 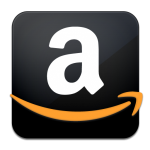 This entry was posted in 2 Stars, Fantasy, Urban Fantasy and tagged Artful, Artful Dodger, Charles Dickens, Jack Dawkins, Oliver Twist, Peter David, Urban Fantasy, urban fantasy vampire novels. Bookmark the permalink. Mimicking Dickens? Quite ambitious and gutsy. I imagine something like that has the potential to be great when done well, but crushingly disappointing when it falls short. Sorry to hear this one didn’t live up to expectations, I was curious when I saw ads for it. Dang. I had high hopes for this one especially after enjoying his retelling of Peter Pan in his novel, Tigerheart. If one looks at a rating of 2 1/2 out of 5 as an average read, meaning, nothing notable or exceptional, than a 2 is below avg and thus not even good enough to be considered a good *time waster*. I wish I had enjoyed it more than I did. 2 stars for me means “okay,” which it was. Honestly, I’m somewhat tired of vampires, so the fact it was so focused on that urban fantasy monster probably detracted from my enjoyment of it. Oh, ok. Yeah, I ignored most of the vampire hype and am still a vampire lover so maybe it’ll be ok for me.